"It doesn't seem to matter which Yamaha series; birch, maple, beech or oak, they all have that signature Yamaha quality that projects so much great sound and gives you so much back. They're just so easy to play and that makes me sound better!" Gordon Rytmeister is one of Australia's most in-demand drummers with an extraordinary ability to cross every conceivable stylistic boundary. He brings a unique energy to any performance as both an exciting soloist and a very supportive team player with a driving, natural feel. Born in Sydney, in 1968, Gordon started playing drums at age 13. Like many young musicians, his initial inspiration came from the raw rock of bands such as Led Zeppelin and Deep Purple, however, he quickly developed an interest and passion for an extremely broad range of music styles in particular, Jazz. After leaving school in 1986, he studied at the NSW Conservatorium of Music. During that time he began playing in Mike Nock's band and later joined The Don Burrows Quartet gaining amazing international touring and performing experience. Between his travel commitments, he quickly established himself as one of Sydney's busiest freelance musicians performing everywhere from small clubs to studios and concert halls. Since then, Gordon has worked with an extraordinarily diverse range of people including the cream of Australia's Jazz, Pop, Rock, and Country artists and many international acts. These include Lalo Schifrin, James Morrison, Bob Mintzer, Leo Sayer, Bob James, Tom Jones, Bob Florence, The Commodores, Bob Geldof, Barry Harris, Nat Adderley, Maria Schnieder, Lee Konitz, Glenn Shorrock (from Little River Band), Tina Arena, The Sydney All Star Big Band, Roger Frampton, Bobby Shew, Anthony Warlow, Russell Watson, Rob McConnell, Don Rader, Dale Barlow, Eartha Kitt, Jimmy Barnes and many more. 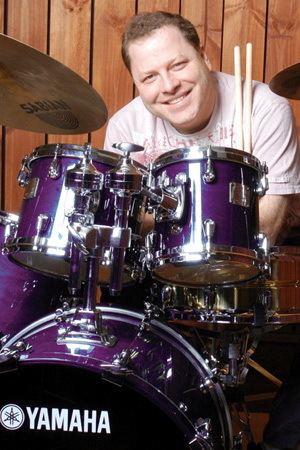 He is the resident drummer on TV's highly successful Australian Idol, as well as playing five nights a week nationally on Tonight Live with Steve Vizard in the early 1990s. From the mid 1990s until its demise he co-led the extremely popular original instrumental fusion band GLUE. Gordon spends a lot of time freelancing in various recording studios and can be heard on many movie soundtracks, albums, and television themes. He recorded Anthony Callea's "The Prayer", which is the highest-ever selling single in Australia by a local artist. He is a regular contributor to Drumscene magazine, in which he was also the subject of a cover story. In 1995 he was voted "Pop and Rock Drummer of the Year" in the Skin Full readers' poll, another magazine in which he was featured. From 1996 through 2002 Gordon taught in the Jazz Course at the Sydney Conservatorium of Music. He has conducted many educational clinics, workshops and master classes throughout the world.